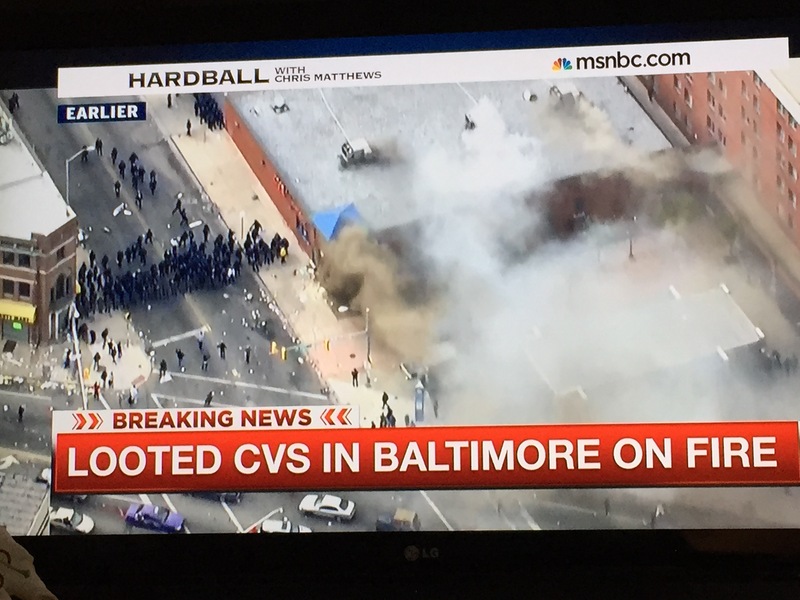 Cable News Focuses on Baltimore CVS. Photo credit: Jessie Daniels. Creative Commons-Attribution. An interesting lingering theme of the Baltimore riots is the narrow focus of the CVS Pharmacy. This may be partially due to the hyper-concentrated media coverage on the destruction of the pharmacy coupled with coaching the viewers to ask the big question of “why” they would destroy a business that “they” (whoever “they” might be) finally got to agree to invest into “this” particular community—as if having a local pharmacy in the community is some sort of special privilege for the largely invisible underclass community members in the U.S. 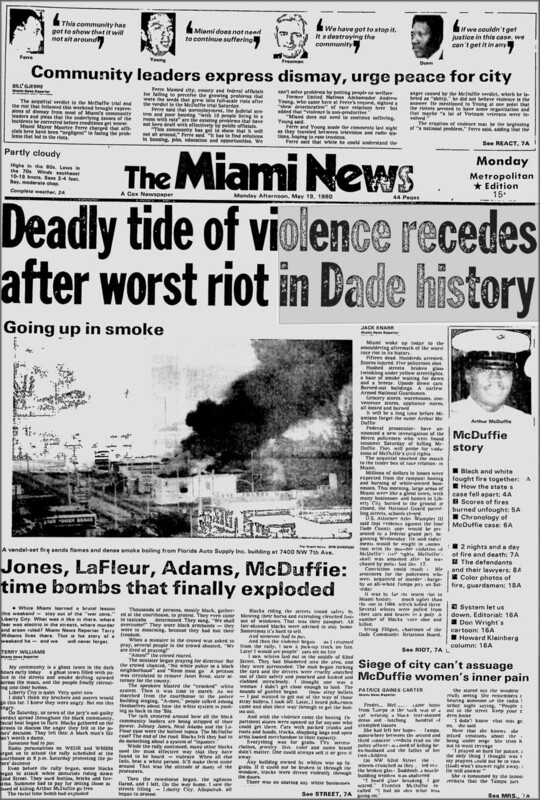 The awe and outrage shown for the destruction of the pharmacy by outside society highlighted the fundamental human disconnect contemporary privileged U.S. society has with Black America in general. If this level of concern and despair exhibited for the lost pharmacy (as if the pharmacy was more humanized as a tragic victim of an unjust system) was equally shown for Mr. Gray (as well as the thousands of others over the last several decades and the millions over centuries) then perhaps the pharmacy would not have been burnt down (as well as all of the other destruction that occurred with the riot—but the pharmacy is emphasized here because it has received central coverage and has become an icon of the Baltimore riot). But, unlike Mr. Gray’s life (and the many others), thankfully for those who found themselves in states of complete disbelief, outrage, and even deeply mourning over the loss of the CVS Pharmacy, it can be rebuilt and fully restored (as well as the other establishments and material objects that went up into flames in the surrounding area) and back in service sometime in the future . . . . Or, maybe not, as the media and analysts have expressed concerns that because of this level of violence, the wealthy may now be hesitant to invest in this ill-behaved community (never bite the hand that feeds you now).tsk tsk. Some may have seen the CVS Pharmacy as a godsend to this neighborhood, both residents and outsiders alike. Such viewpoints most reflect those who can legitimately use the pharmacy (those who have medical insurance and so on) and/or those who are benefiting (those employed) or profiting off the pharmacy in some way. But the question here is, what good are any businesses, CVS or otherwise, to residents who may be unemployed, underemployed, and underpaid? What good is a CVS pharmacy if many of the residents may not have any insurance or healthcare at all? Some might say, OH, but CVS sells goods beyond pharmaceuticals, such as, milk, toiletries, household cleaning item, and even cosmetics and fragrances. But if you’re living in poverty already, purchasing many goods from a CVS is going to be more expensive than a local grocery store, for example. When living in poverty, every single penny counts (down to fallen change hiding in the couch cushions and car seats if you have one—the quarters are major scores and that ain’t no joke). And forget about getting a healthy home-made meal from the CVS pharmacy for you and your children if applicable—in their modest food isle, you can pick up some overpriced dried and canned goods, as well as some dairy in the refrigerated section. In that respect, is the CVS pharmacy really a true blessing for this socially neglected U.S. neighborhood? A CVS pharmacy, along with the other businesses and establishments that were destroyed, are only as good as the local residents can equally benefit from their presence and participate as economically consumers. The goal of the businesses is to make profit, which in this case, comes at the expense at those who are most disadvantaged through absorbing the little resources the community members may have. Yet, our nation was more outraged by the loss of profits of this pharmacy rather than the gross injustice involving the loss of Mr. Gray’s life at the hands of the law enforcement officers, whose salaries are paid by the very tax dollars these residents generate through their consumption taking place in their home neighborhood. Much profit is to be made off the poor, which reflects exploitation and absorbing any and all economic revenue that emerges, rather than honest social and economic investments into individual and community empowerment and a healthy independence (education, housing, employment, and so on). Nobody wants live in poverty and be on assistance (if even a possibility—too many in serious need are denied)—and anybody who truly believes these myths are fundamentally disconnected from the pains of oppression or outright delusional. Yet because of the way this racist and discriminatory society is deliberately set up, assistance is an absolute necessity for many and what little is given to far too few, is indeed precious for those who do receive. Things as community gardens, apprentice and educational enhancement programs, free recreational and extra-curricular programs for both the youth and adults would be more beneficial to the community than the CVS Pharmacy and other small business, such as the liquor store, predatory lending establishment, and other businesses that were there only to profit off the oppressed. But, exploitation and dependency on the capitalist system, even if that means, you paying into a system with what little you do have or may get, that is designed to destroy your very presence and even existence, comes before individual and community empowerment, independence, and overall health and well-being. But oh yes, let us mourn for the pharmacy and the capitalist system while blaming the oppressed for their conditions and positions in the U.S. without any regard for the irreversible damages that have been done to the human lives that represent the epicenters of the riots that have, and will in the future, take place. 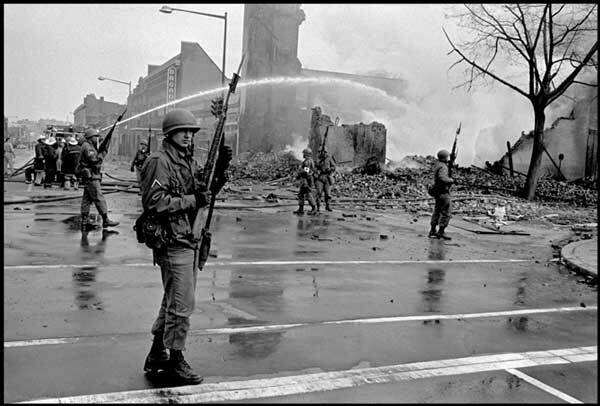 Another major theme was how the community was being “harmed by the people not having jobs to go to due to the rioting.” How can a community be more concerned about the few who do have jobs than with the majority who do not? 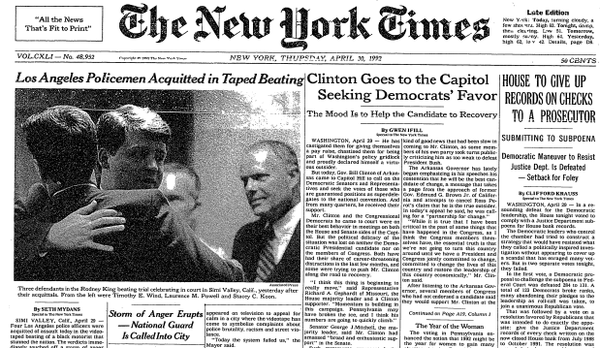 In other words, again, the critics showed more concern and sympathy for those who were employed than outrageously high number of those who were unemployed while simultaneously questioning why the riots were taking place. In such dire circumstances, it is not incomprehensible that some residents may have never had the opportunity to land a job and see little to no hope of perhaps ever finding employment in the future, even at a minimum wage fast food joint, as if this is supposed to be desirable and overall suitable for minimal legitimate survival (forget about a well-paying stable life-long career) should their immediate realities continue on as white society so desires—ignoring the roots of the problems while demanding that everything quickly returns “back to normal.” Is white society’s conception of “normalcy” the best interest of this community? Or the many other underprivileged communities that reflect the same problems and grievances throughout the nation? The looting and rioting reflected not only demands to be heard, but also cries for necessary and past due deep structural changes. Many people were honestly perplexed and “boggled” as one young woman put it, asking why they were burning down their own communities. Such questions from some truly seem to be genuinely reflecting the deep seated racial and class divide that exists here in the U.S. And those honest wonders need to be addressed with honest answers. The rioting and looting can only be understood through a historical and systemic analysis (see Systemic Racism and Ghetto Revolts). When this is understood, the centuries of lethal violence and oppression against Black communities should rather lead people to beg the question of why there isn’t more revolts? Rather than, “why are they burning their town down? !” The rarity of riots, given the dire conditions in which these communities survive coupled with the racist lethal structures and environments in which they cannot escape, speaks volumes. Despite the intensity of these events, the rarity speaks to the contrary—oppressed Black communities are quite non-violent and far beyond patient, which should lead people to question why the riots are not more frequent. There is no doubt should the more privileged be quickly subjected to the same exact conditions overnight with their children and families, likely more extreme riots would take place demanding justice and equality in the same way that we saw with the recent riots in Baltimore, and all others in the past. Not only would such individuals find their immediate circumstances unjust, but they would likely be burning down their surroundings because of the environmental dangers included (vigilante arsons). It has been suggested that Mr. Gray was a victim of lead poisoning—the poisoning coming from the housing unit he was raised in when a child. When it comes to standards and acceptable limits related to environmental dangers and hazards that white middle class+ will tolerate, the thresholds are much smaller—likely renovations, relocations, and/or demolition and rebuilding the neighborhoods would not just be an expectation, but a relatively quick reality. The suggestion to move Baltimore and other areas throughout the nation that are demonstrating frustration and unrest back to “normal” is in itself inherently unjust and fundamentally immoral. We as a nation cannot claim to be decent, civil, caring, and equal, when we demand it returns back to “normal.” If the conditions of Baltimore, and beyond, both past and present, coupled with the seriously foul criminal justice system that is in place is truly considered “normal” for most Americans and the U.S. as a nation, then it must be recognized that there is a serious and very dangerous inhumane pathology that is pumping through the heart and veins of this society with every single beat—and every single heartbeat is actively keeping that very pathology alive and well. Changes are far past due and necessary. Not for the sake of appearances of decency and other flattering terms that make the white society feel all warm and fuzzy inside, but for honest humanity and equality, and an honest and just society.